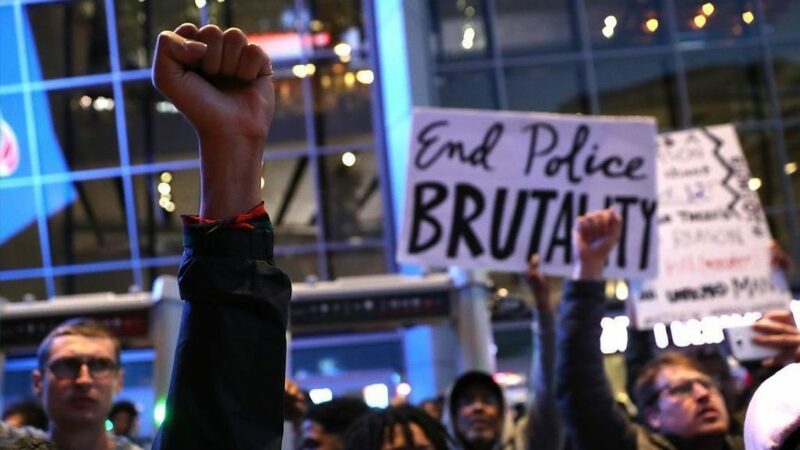 What follows is a statement from the Sacramento chapter of the IWW regarding both the recent police murder of Stephon “Zoe” Clark and the following uprising. On March 18th, Sacramento Police Department officers Terrance Mercadal and Jared Robinet shot ten bullets each, killing the 22-year-old father of two. He was the seventeenth person killed by Sacramento-area police in the last two years. In the wake of this tragedy, a routine that we know all too well has played out: police chief, Daniel Hahn, has called for calm as his department “gathers more facts” about the incident; city mayor Darrell Steinberg voiced his initial “full support” of the involved officers; and local newspaper Sacramento Bee has called for “calm” while glorifying the police, going so far as to ask “what’s a cop to do?” when faced with explosive community accountability. That accountability comes in the form of rolling demonstrations led primarily by Black folks and supported by a wide swathe of Sacramento residents who refuse to accept another police execution of a Black person as “business as usual”. Beginning on March 22nd, thousands of demonstrators pushed riot police from intrusion on a highway takeover and shut down access to the Sacramento Kings’ home game. Community members have since squared off with police into the early hours of the morning; hosted a benefit music and arts night to fund raise for Zoe’s family and funeral services; disrupted a city council meeting; prevented access to a second Kings’ home game; and faced off with riot police after taking an unsanctioned march from District Attorney Anne Marie Schubert’s downtown office. The current moment in Sacramento emerges from both spontaneous social anger and years of community organizing by many groups. In particular, protests focused on the Golden 1 Center demonstrate an understanding of the connections between ways that Sacramento government and business prioritize money at the expense of Black and poor lives. In addition to direct police violence, this includes ongoing “urban renewal and renovation” targeted at raising property values, eliminating mom-and-pop stores and their owners, creating a playground for a growing segment of Silicon Valley tech executives out-priced of Bay Area living, and pushing specifically workers and people of color, to the city’s furthest limits. Protesters recognize city officials’ complicity and active efforts to bring in more capital to swell its coffers, while leaving larger and larger numbers of its residents houseless. Police officers’ protection of the Sacramento Kings’ arena crystallizes the direct connection between the state and capitalists through its protection of publicly-financed private property and revenue accrual. Stephon Clark will be laid to rest today but it does not mean that we should. Members of the Sacramento IWW write this statement in full support of the ongoing efforts taken by community members and call for their expansion. Revolutionary activity begins in the streets but ends in a new society. That end goal—a world which dismantles structural racism in all of its forms and eliminates wage slavery as the primary way to survive—requires expanding this momentum to all corners and crevices of the city. Actions taken by community members and workers offer a glimmer of a world in which social norms are disrupted, inverted, and we take brief control over the streets, state offices and meetings, and our lives. We can take more ground and control, but we must do it together. Rest in power Zoe and all other victims of state- and capitalist-sanctioned violence in all of its forms. An injury to one is an injury to all. ← “Drop ALL the Charges!”: April 2-3, Call-In Campaign for the Remaining J20 Defendants!